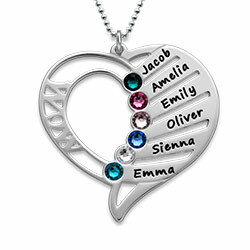 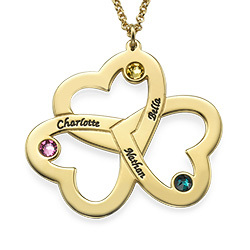 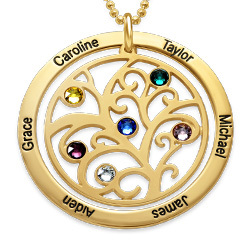 Your children bring you joy and happiness every day so keep them close to your heart and show them how much they truly mean to you with the Multiple Vertical Name Necklace with Birthstones. 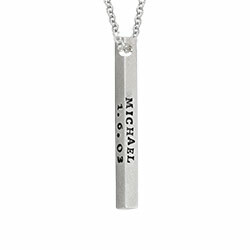 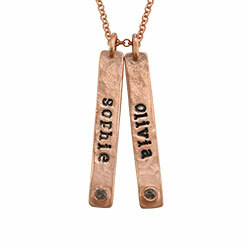 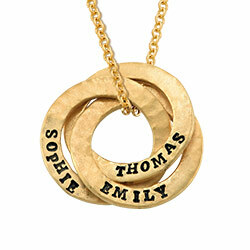 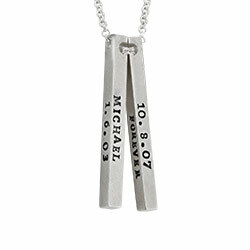 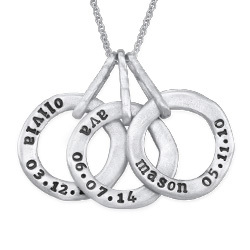 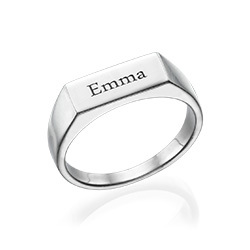 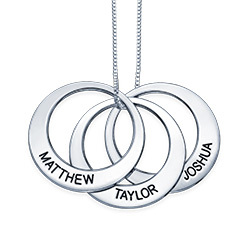 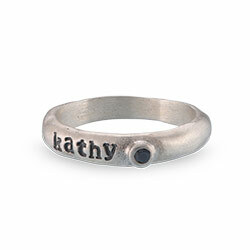 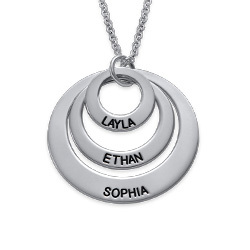 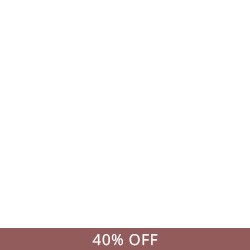 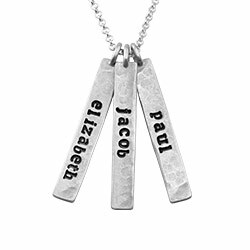 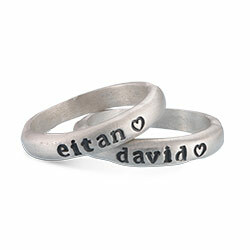 Each child will feel extra special when they see their name hangiing from this silver name necklace. 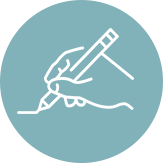 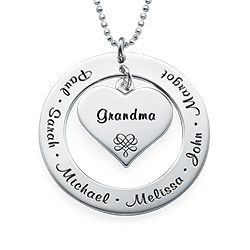 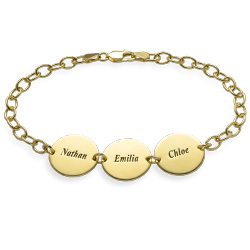 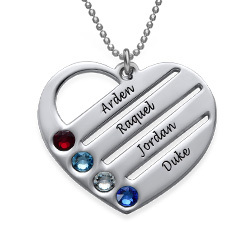 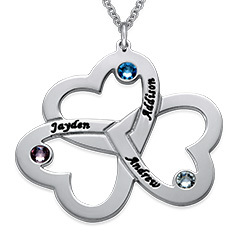 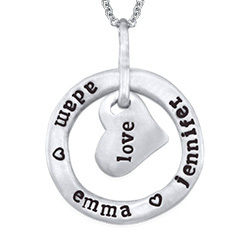 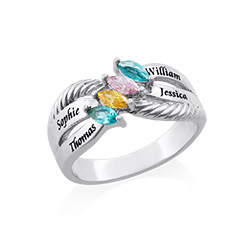 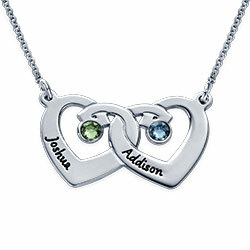 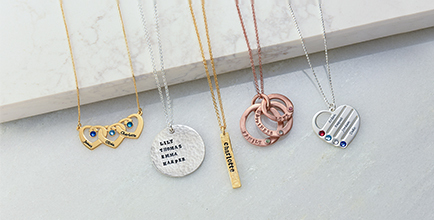 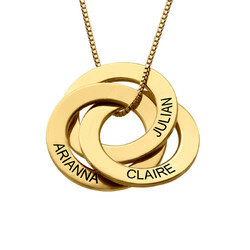 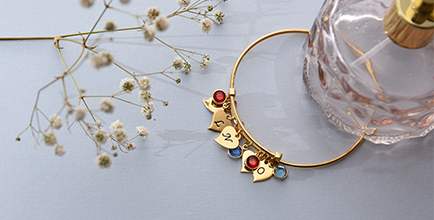 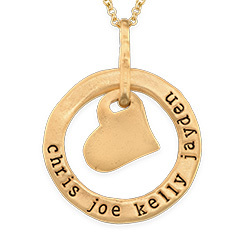 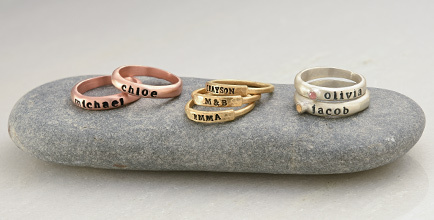 Add up to five names to the necklace, each written in script font, and give every one a little extra sparkle by including the child’s Swarovski birthstone to the charm.